Optimizing Every Flight since 2001. The SkyNode® S200 is the world’s lightest and most versatile integrated aeronautical communications device. The S200 provides security and crew safety for air/ground logistics applications. Phone and data access is available everywhere you operate. The S200 exceeds automated flight tracking requirements mandated by US and Canadian Forestry Agencies and interfaces to multiple mapping and flight data monitoring systems. The S200 has the toughest environmental standards in the industry. • Multiple voice communication interface options. Network from Anywhere. 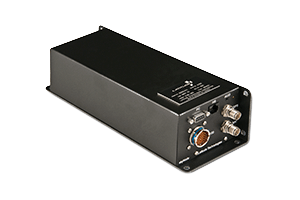 The SkyNode S200 supports narrowband networking for aircraft requiring text messaging, email, file transmission, and internet access. Evolve to Your Requirements. The SkyNode was designed with application versatility in mind. Order the features you require and add more in the future should the need arise. Change doesn’t have to be expensive. The SkyNode S200 is supported by the WebSentinel suite of subscription-based services and server-side data management utilities.